MDL Marinas upgrade of Ocean Village continues. Waterside access into Southampton is even more stunning with the completion of the Ocean Village comprehensive redesign. 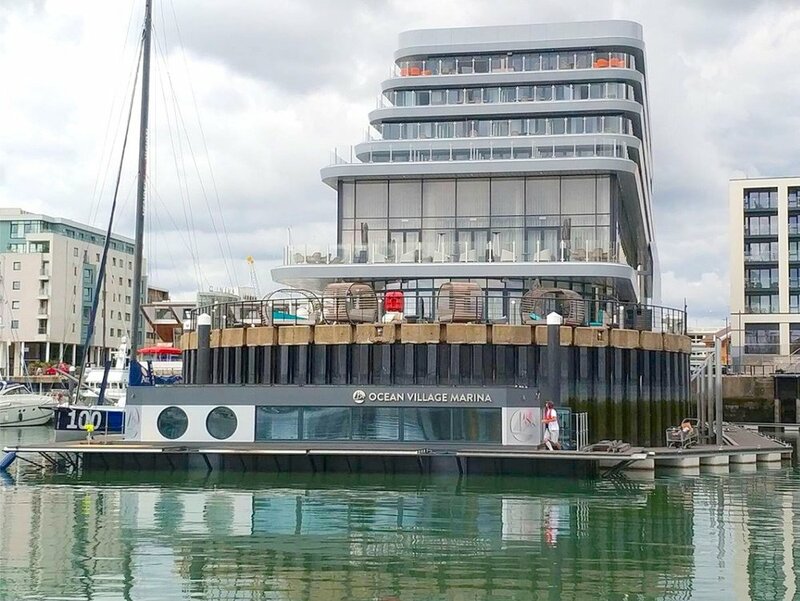 Innovations include a £50m luxury spa hotel complex and a floating dock office to welcome guests from around the world. The newly completed Harbour Hotel provided Mid Century design cues and the partially submerged floor level ensured that at high tide the office roof did not disturb the views from the Hotel drinks terrace. 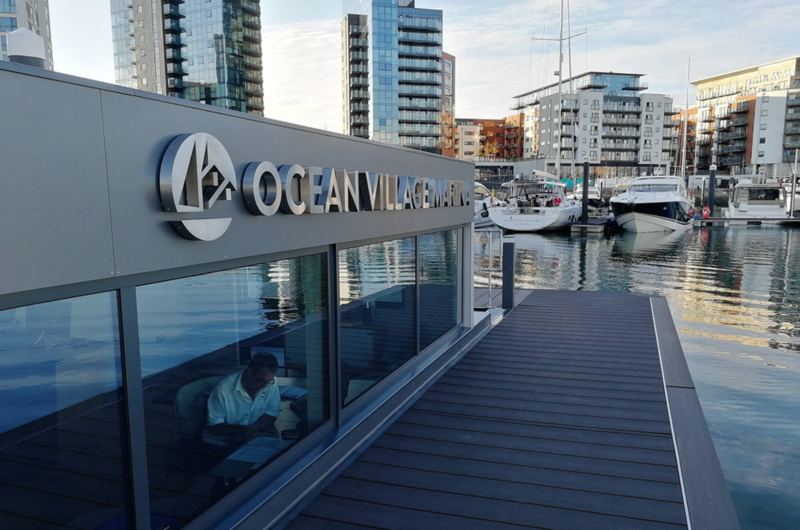 MDL Marinas is well known for the 5* customer service it provides 24/7 and the newly delivered state-of-the-art floating dock office will offer a full concierge service. 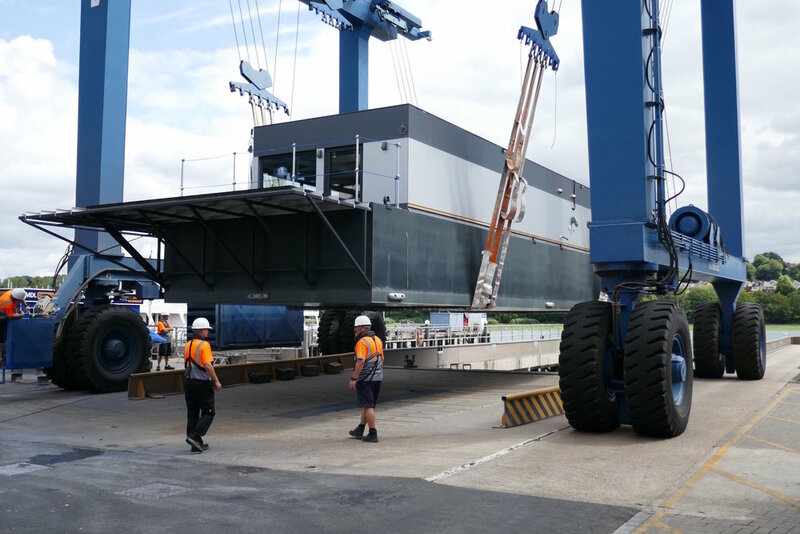 The new Dockmasters office is sustainably designed to be relocatable and to function off-grid. High levels of insulation ensures it has a low energy consumption and it makes use of green technologies such as a 7.2Kw solar system, heat recovery systems and glazing that gives shading to cut down on solar gain and is anti-glare so the dock masters have a comfortable view out over the marina. 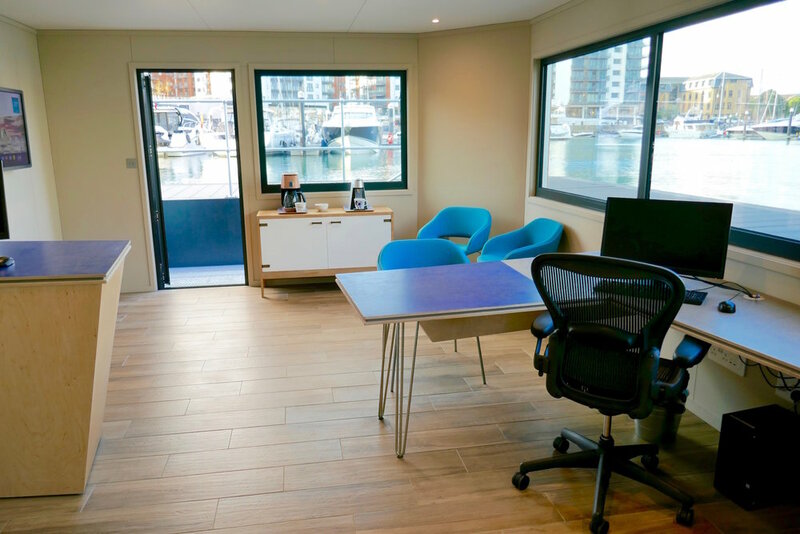 Eco Pavilions have designed the new floating office in collaboration with MDL Consultancy.